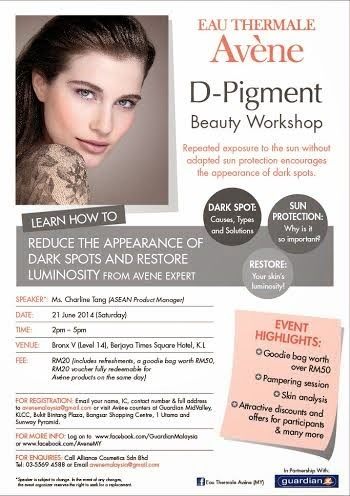 Avène Beauty Workshop is back and in partnership with Guardian, you will learn How to Reduce the Appearance of Dark Spots and Restore Luminosity from Ms Charline Tang, ASEAN Product Manager. 1. Goodie bag worth over RM50.